« Berk Technology Gets Another Podium at Redline Time Attack! 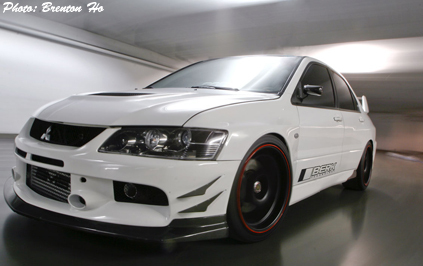 New Product: Mitsubishi Evo 8/9 High Flow Cat! It’s no secret that the Mitsubishi Evolution is one of the top tuner platforms of all time, and it’s also no secret that Berk Technology is one of the top high flow catalytic converter manufacturers in the tuner market today, which is why we are proud to announce our new 3” high flow catalytic converter for the Mitsubishi Evolution 8/9! The new Berk Technology Evo 8/9 High Flow Cat uses the same high flow metallic racing catalytic converters that have been so successful in our Nissan/Infiniti/Honda applications and possesses the same high quality 100% stainless steel craftsmanship that Berk Technology is known for. High flow catalytic converters are the perfect solution for anyone looking to free up some extra power, but don’t want the dreaded “test pipe smell,” and also the perfect solution for owners who are building a car to race in a series that requires the use of catalytic converters. Berk Technology high flow catalytic converters have been proven to flow 87% as well as test pipes leaving you with plenty of power and no obnoxious smell. The new Mitsubishi Evolution 8/9 high flow catalytic converter will fit on both the 2004-2005 Mitsubishi Evolution VIII (8), and 2006-2007 Mitsubishi Evolution IX (9). 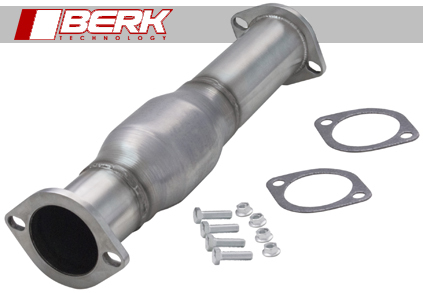 This Berk Technology catalytic converter is designed to be a direct bolt on replacement of the stock catalytic converter and is OBDII and 49 state SMOG compliant. These new high flow cats are available for order right now though Berk Technology or your favorite Berk Technology authorized dealer! This entry was posted on May 10, 2010 at 10:28 am and is filed under Product News. You can follow any responses to this entry through the RSS 2.0 feed. You can leave a response, or trackback from your own site.